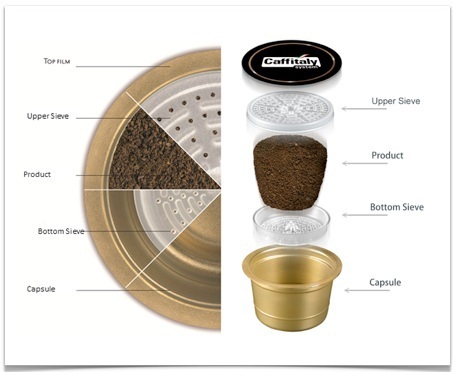 Caffitaly Delizioso capsules, compatible with Caffitaly capsule machines. 100% Arabica with notes of chocolate for a strong espresso. 1 box of 10 capsules.